Time to be joyful with lots of spirit to celebrate the pious bond with unlimited gusto. India is popularly known for celebrating gigantic festivals. The reason behind is the cultural diversity prevalent here. Every festival is celebrated in such an interesting and unique manner that it becomes almost impossible to pick out one that is the best. 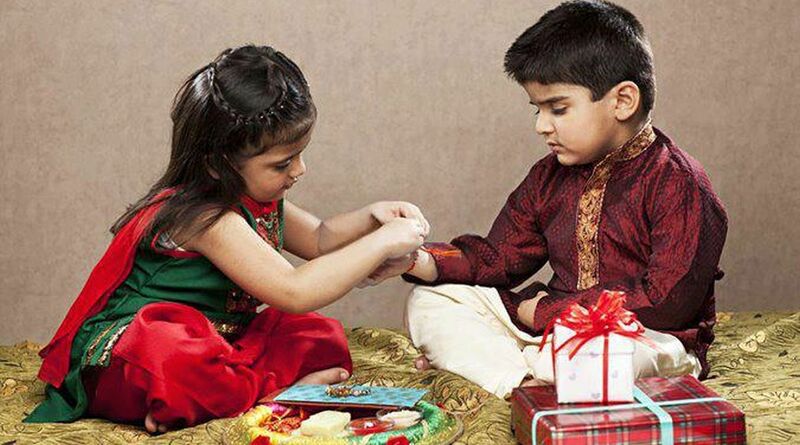 Raksha Bandhan is one of the most popular Hindu festival worth checking out. Given the varied and cultural fabric of India, this festival hosts its distinct way of celebration. Though it commemorates historical events, but it is incomplete without prayers and rituals. 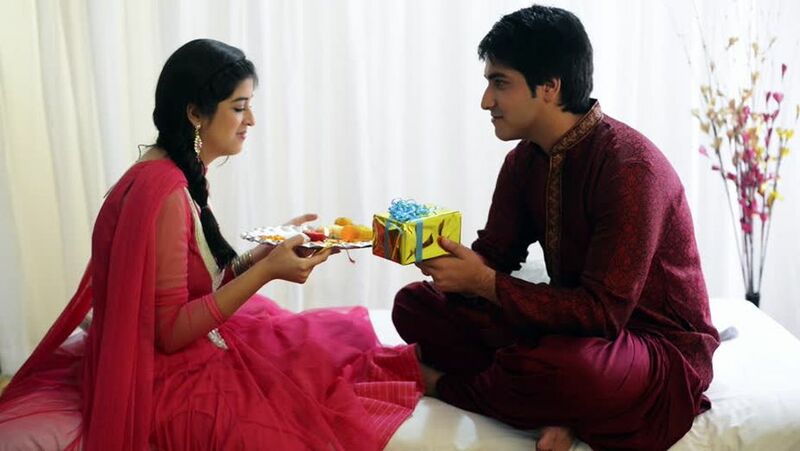 The festival celebrates the bond between brother and sister by way of presents and sweets. It provides an opportunity to put sibling rivalry aside with a tie of protection. The centre of attraction on this day is Rakhi – a decorative colourful thread or a beautiful bracelet which the sisters tie on their brothers’ wrists. Then they both seek the blessings of god. Modern rakhis are extremely ornate and include precious stones as well. Some sisters even give their brothers a wristwatch or a gold or silver bracelet as rakhi. After praying for her brother’s long and healthy life the sister ties rakhi on her brother’s wrist and marks his forehead with tilak. Then both feed each other a bite of a sweet. In return, the brother vows to protect his sister and gives her a lovely gift. Thus love is exchanged in the form of sweets and gifts. Wearing new clothes and the feasting process are two important parts of the celebration. This is one you probably hadn’t considered but do you have any idea how accomplished you will feel spending quality time with your sister. Book a movie ticket and go out for lunch or dinner with her. Sit, chat and revive old memories together. Nothing is comparable with the time you spend together. Don’t forget to pick the menu of her choice. Personalised gifts are also perfect for your sister – no matter how old she is! These gifts can be made unique with their names, birthstones and a special message. You can also gift her a booking card for a luxurious spa treatment that’s relaxing and enjoyable. This trip to a good spa can give her relief from day to day stress and she can cherish some much needed time to pamper herself. What if you present her a basket of bath, hair and makeup accessories? These are all-time favourites of your sister. You can never have enough perfumes for a teenage girl or woman. Fragrant oil sets and body sprays both make great gifts and perfect complement for your sister. Good stores and brands carry impeccable little sets in all fragrances, sizes and shapes. Every time she uses it, she would remember you as her best buddy. Give your sister a fabulous purse and you will just become her favourite family member. Doesn’t matter the age, a purse is just fun for every sister. Little girls love purses with their favourite characters, teens love them with funky patterns and a sober one can add just the right panache for an older sister. Rings, watches, earrings, bracelets, necklaces or any combination of these are a hit. Pick the one depending on the style and personal preference of your sister. Don’t hesitate to get the exclusive one if you can afford. Treasure a day to meet your siblings with all love, laughter, fun and to forgive transgressions. Apart from following traditions, this festival renews and refreshes you bringing a big smile on your face.